Anyone can cook in a chrome covered commercial kitchen, it is those that can command their area in a lowly student kitchen, when all the pots are dirty, who are the real professionals. Here we see the head chef, hard at work preparing his fourth lot of fajitas in a week. His hand has been forced due to the buy 1 get 1 free offer on el paso spice mix that was irresistible at the time but now seems poorly judged. Damn old el paso – so tempting in the mexican section but ever out of reach of the budget-bound student. Any discount on the sumptuous goodness that is a far superior alternative to home-brand refried beans cannot be ignored. Head chef is not alone! 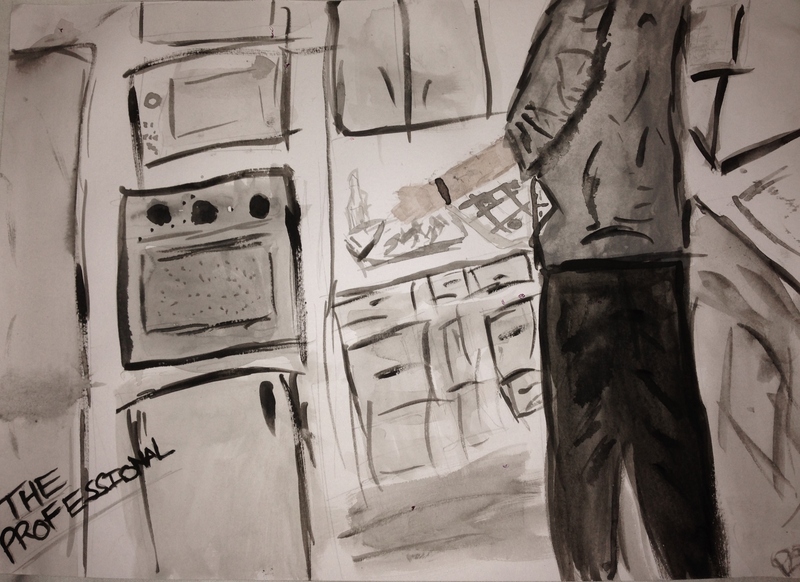 Love your sketch portraying well the shared student residence! !